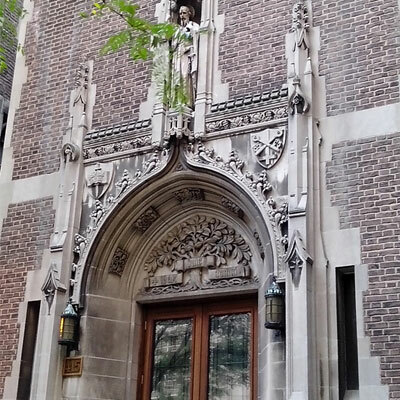 Our community’s motherhouse is on West 59th Street, west of Columbus Avenue (9th Avenue) in New York City, near Columbus Circle and Lincoln Center. The motherhouse is a vibrant and busy residence for Paulists Fathers who serve the parish, in community leadership roles, on our mission band as well as several Paulist Fathers in senior ministry. Also serving at the motherhouse are Oblates of Jesus the Priest (women religious who serve and pray for priests and seminarians) as well as lay staff members who work for our national offices, the parish and the motherhouse itself.